Once you have your domain name registered and your website built, the next step is to create your domain email accounts. In this article, we will go over the basics of the domain email accounts included in your Website.com plan. We will also show you how to create additional domain email accounts. Using free email accounts just doesn’t look very professional, creditable or trustworthy. Would you trust your legal matters on a lawyer who uses a @gmail.com email address? Good news is your Website.com account comes with domain email services, regardless if you’ve purchased your domain from Website.com or not. The Website.com Business plan comes with 3 email accounts and the Ecommerce plan comes with 10 email accounts. Email Span and Virus Protection service is also included in the plans. So, unlike other website builders where you have to seek domain email solutions with Google Apps, Office365 or any external services, you can manage your website and your domain email accounts all from your Website.com dashboard. Note that using Gmail and Office365 to set up your domain email accounts is not free. Your Website.com domain email service is powered by SmarterMail, a powerful, enterprise-level webmail solution that comes with contacts management, integrated calendar and task list, email forwarding capability, email content and spam filtering. It even comes with email account usage and traffic reports. All Website.com email accounts comes with POP3 access, which means you have multiple options for access your email. You can use a mail client, such as Outlook, and you can also configure your mobile phone to access your domain emails. Or if you prefer to use Gmail, you can use Gmail’s Mail Fetcher feature to pull your domain email into your Gmail interface. 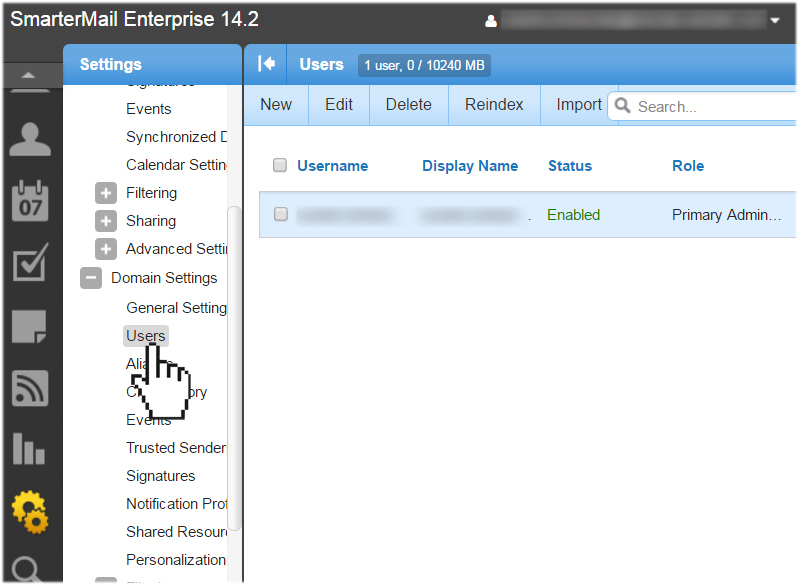 And you will always be able to access your domain email accounts directly from your webmail interface. 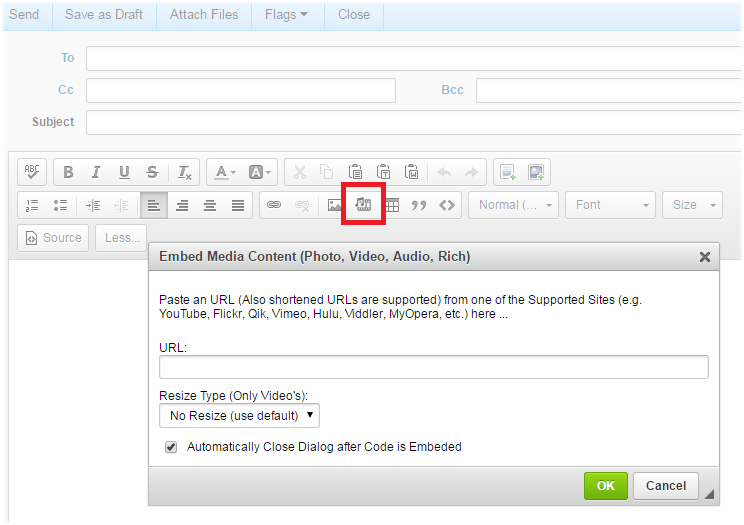 When composing an email on the webmail interface, you will find the you can also include document and photo attachments, and embed videos and audio. 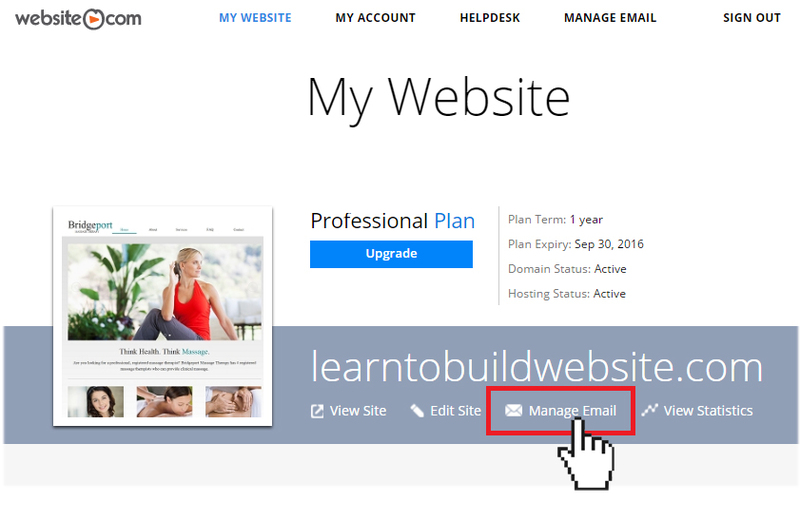 Each of Website.com’s plans comes with the ability to create multiple domain email addresses and you can do so via your webmail panel. 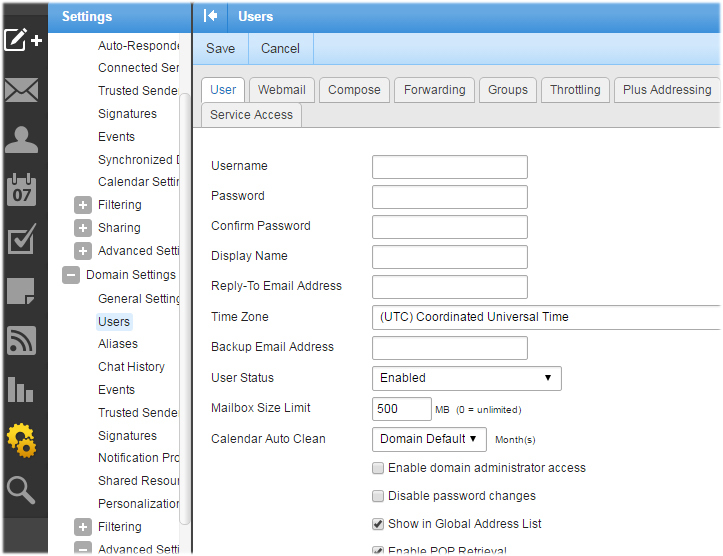 Once you’ve logged into the administrative email account (your Website.com’s main email address), you will find the function to create additional user email accounts under Settings > Users.